Dr. Morell's research looks at how and why deformation is actively accumulating, using a combination of methods in field geology, river longitudinal profile analysis, low temperature thermochronology and erosion rate estimation. We are particularly focused on how the Himalaya are potentially seismically segmented along strike and are interested in the forcings that might drive this segmentation. 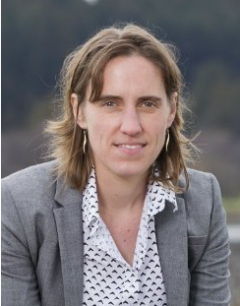 Using interactions between geomorphology and tectonics, she is investigating subduction zone processes from the trench to back arc, evaluating the timing of arc cessation and isthmus closure, and exploring how subduction zone properties affect upper plate deformation on a variety of spatial and temporal scales. Dr. Morell is also exploring the kinematics and slip history of crustal faults, and how and why permanent strain is accumulated within the upper plate of the Cascadia subduction zone on southern Vancouver Island. This work is primarily based on detailed structural and geomorphic field work targeted by bare earth lidar data, and is further informed by paleoseismic trenching. This research is also placing constrains on the seismic hazard that shallow crustal faults may present to the southern Vancouver Island region.